How do you get to Carnegie Hall? Practice, practice, practice! Nearly every performer in the world has dreamed and asked that question before; whether it’s 1950 or 2016, however, the answer remains the same unless of course, your name was Florence Foster Jenkins. In the new film of the same name by director Stephen Frears, it’s clear to see that anything but practice could lead you to that Carnegie stage. Based on true events, Florence Foster Jenkins tells the story of the eponymous Manhattan socialite known not for sublime singing, but for her lack of pitch and tone, and an abhorrent singing ability. A lifelong patron of the musical arts, Jenkins devoted herself completely to the promotion of classical music. It was not however until her decision to be a performer in the music world she loved so dearly, that her name would reach new heights…. or lows. Played in a sentimental and joyous fashion by the great Meryl Streep, Jenkins (at least in this film adaptation of her life) was determined to perform not because of some snobbery or egoism but because of a profound desire to share the joys of music with others. It could be said that despite her obvious cultural sophistication she possessed a sort of naiveté and simple-mindedness; a trait that very easily explains her inability to understand the laughter and ridicule that frequently followed her recitals. No amount of practice would ever prepare her for Carnegie Hall, but money, loyal friends, and eccentric persistence certainly could. Featuring very funny and amusing sequences, from her rehearsal sessions to the rising of the curtain at her first concert, there is great laughter and fun to be had. With a terrific supporting cast including Hugh Grant as Jenkins’ dedicated husband and Simon Helberg as her suffering piano accompanist, there’s amusement in every frame. Helberg’s turn as pianist Cosmé McMoon is both humorous and charming; with a successful run on TV’s Big Bang Theory he has shown his versatility before and makes a welcome entry into a hopeful run of upcoming films. Grant perfectly plays the part of the English gentlemen, devoted to his wife despite her obvious vocal imperfections, all while Helberg grimaces and chuckles (as does the audience, both in the film and those watching the movie) at a truly indescribable voice. Where the film shines as an entertaining musical comedy, it too brings up moments of poignancy and perhaps even social commentary. How far would we go to protect the feelings of those we care about? Would we let their humiliation continue and when is it right to laugh and when should we say stop? There is no doubt that everyone knew Jenkins had no singing talent, yet in an effort to cushion this seemingly innocent woman, her husband, friends, and other acquaintances let her delusional dream continue. Was it right? 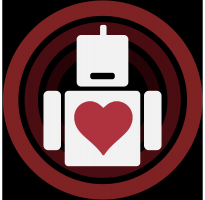 Do we have a responsibility, to tell the truth or do we let these projects continue for our own selfish amusement?The answer will vary from person to person, but in the case of Jenkins would it have been better to let a woman so full of joie de vivre wilt? This was not a vanity project for her but an exercise in love: a love of music. And for her supporters, it was in the least an entertaining and frequently hysterical experience. So should we encourage others in endeavors in which they hold no talent? 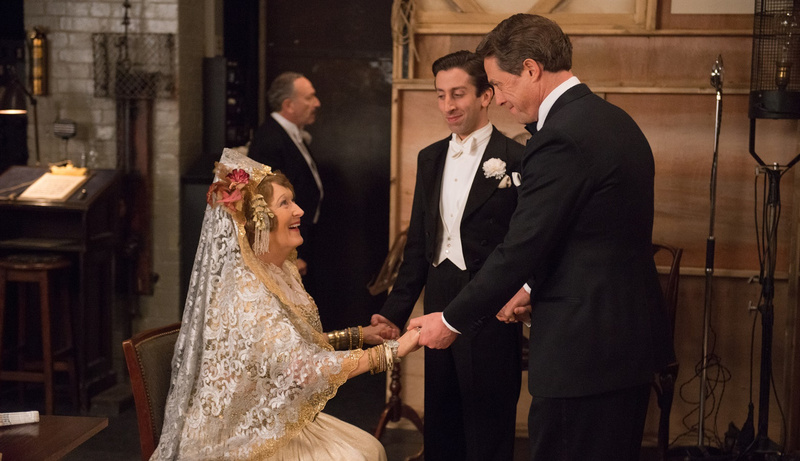 Perhaps not but Jenkins’ story has shown that even the very talentless can offer something and occasionally even move us; for moviegoers Florence Foster Jenkins will certainly make them move with laughter, emotion and a tinge of strained musicality. Encore!